Make your reservations for this free event today. The Kewaunee County Economic Development Corporation invites you to join KCEDC Board Members, investors and other distinguished guests for the KCEDC Annual Meeting, Tuesday, May 15, 2018, 8 am – 10 am at James May North, 219 State Street, Algoma Wisconsin. 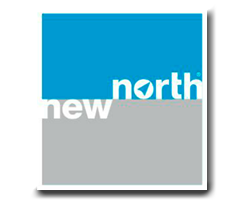 Keynote speaker Jerry Murphy of New North will share insights on the importance of economic development in our area. Lynie Vincent, Corporate VP of N.E.W. Plastics Corp and KCEDC Board Chair, will share highlights of the past year and new visioning for KCEDC’s future. The program will include success stories from both public and private sectors. A question and answer session will follow the presentation. Please join us for this free event for coffee, North Water Bakery treats, and great conversation about the future. RSVP here with your name, contact number, and the number of people in your party. Please forward this invitation to others who may be interested. We look forward to seeing you May 15th.